The amazing 4 inch screen on the new Sony Xperia X10i is the only way to utilize the 8mp camera for images or high quality DVD at pure 30 frames per second. With HSDPA - 3G Wifi and Android OS this makes the Xperia unmatched in the Android world...so far. 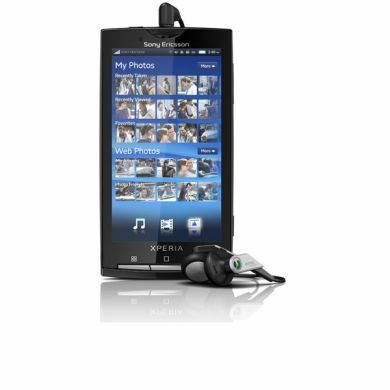 Sony Ericsson XPERIA X10 introduces an open and integrated world of social media, communication and entertainment. New UX (user experience) platform lets consumers organise everything and discover more with the most open, human and intuitive user experience yet. We sell Mobile Phones like BlackBerry, HTC, LG, Motorola, Nokia, Samsung and Sony Ericsson. For more information about our products, please send an inquiry to us.